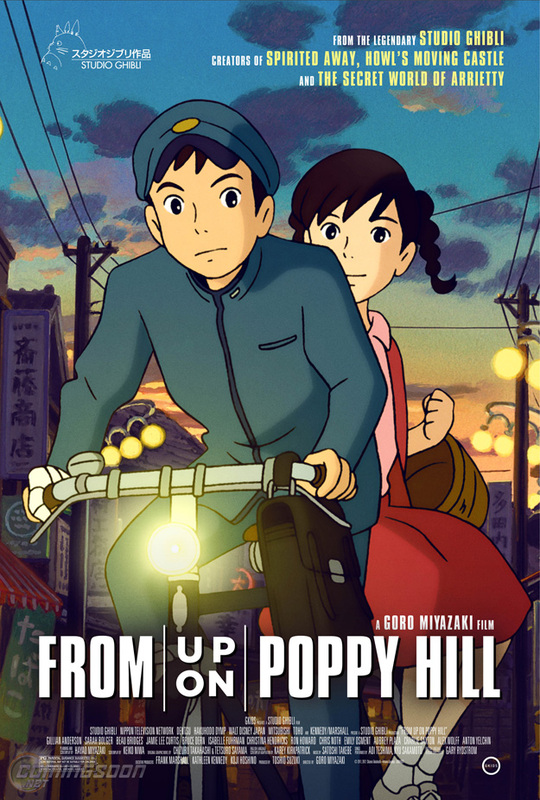 'From Up On Poppy Hill' One-Sheet. 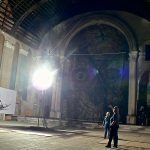 Opening March 15 in NY and LA. Every new release from iconic Japanese animation outfit Studio Ghibli is cause for childlike excitement but its latest movie, From Up On Poppy Hill, is a Studio Ghibli movie like no other. 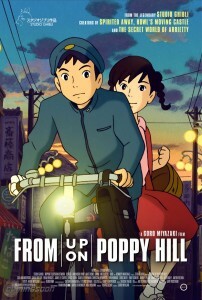 Written by Studio Ghibli co-founder Hayao Miyazaki and directed by his filmmaker son Goro Miyazaki, From Up On Poppy Hill steps away from the fantasy settings of past Studio Ghibli films like Princess Mononoke and Spirited Away for a teen romance set in 1963 Yokohama with Japan’s build up for hosting the 1964 Olympics in the background. Just as the late Japanese master Akira Kurosawa stepped away from his popular samurai movies for the Ed McBain-inspired crime thriller High and Low, it’s exciting to see Studio Ghibli make a creative shift from pure fantasy with From Up On Poppy Hill. GKIDS releases From Up On Poppy Hill March 15 in New York City and Los Angeles and expands the film nationwide March 29. Voice actors joining the English-language version include Gillian Anderson, Sarah Bolger, Beau Bridges and Jamie Lee Curtis.